I have many memories associated with this school. From being a naughty stammer to a good student who did so many nasty things but was never interested in studying. I used to hold positions in early classes, but with time, and as I grew up, I couldn’t really do well in studies but I always managed to pass to next class. At home, I used to be busy with my brothers, baby sitting them and helping dad sometimes in carpentry. My parents were more than happy to see me going to the next class year after year. With time, because that I was naughty and talkative, I soon began to improve on my stammering trouble. There used to be some incidences when teachers would ask me to read some paragraphs or so and I would stand up trying to read but couldn’t utter a word until I get stick or two. On some leisure times, and when it was group reading amongst the friends, I used to tell them that I will read the book faster. I sometimes fell that stammering in front of a teacher was may be because I was afraid or I lacked confidences during my childhood days like many other kids. Bumthang has always been blessed with so many religious activities and its history is read with so many visits by many great Buddhist scholars. 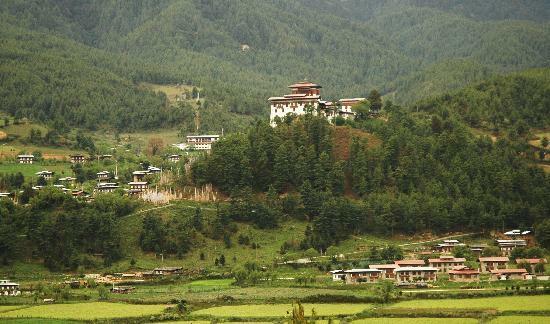 Thus, as many Buddhist scholars, that many (even more) temples and religious sites are there in Bumthang. Exam times were the best times where every student, even the ones who dreaded so much to sit through for one hour evening prayers would turn themselves at the sacred help of God. We often would travel through the high mountains where temples would be built seeking help from the standing statues and religious sects. Those days we were so naïve even to understand that God helps only the ones who help themselves. Another particular incident that I will never be able to forget is what happened during the visit Fourth King. I was in class six, and the HM was supposed to grace our school before lunch. We were instructed and taught as to how and who should be leading the Chhawang (bowing down of head to show one’s respect). There was some confusion between the school teachers and the officials who came before the king to see whether things are prepared well or not. School instructed senior class- class eight students to lead the Chhawang while the officials put class six students in the front row. And subsequently the senior classes thought the ones in the front would lead the Chhawang until it didn’t happen when HM walked right in front of us. I didn't know that time that we messed up the thing for HM (head master). We had the long speech next morning from him.